A peaceful corner of our world which must have been created by the divine hand. One of the most spiritual among the islands of the Cyclades and still relatively unknown to the majority of tourists, Tinos island is mainly a pole of attraction to Greek pilgrims who wish to visit the church of Panayia Megalochari - the Blessed Virgin Mary of Tinos - and to pray for their vows to be fulfilled. Rich in beauties that are well hidden behind the portrait of the picturesque port, only a few will actually make the effort to be acquainted with the rest of the island. Those lucky few are bound to discover the ‘true’ Tinos, its hospitable inhabitants and the quaint villages with their hundreds and hundreds of dovecotes. Be one of those visitors who will travel beyond the port and conceive the magic that the island has to offer. Meander through the maze of its narrow alleyways amidst the whitewashed houses and yards. This is precisely where you will find out its secrets and where you will be treated with the original flavors and aromas of Tinos. Search for its well cherished divinity by walking within the quarter of Malamatenia, visit the church of Ayios Nikolas Katholikos and that of the Three Hierarchs. Discover the senile neighborhoods of Pallada and Ayios Eleftherios – Varis and feel the spirituality as it calmly enters your hearts and minds. The church was built on the exact site where the miraculous icon of Virgin Mary was found. Upon entering the church you will encounter the absolute expression of religious faith. Tokens of faith in gold and silver are devoted to Virgin Mary together with ounces of gratitude, hope and anticipation. Devote time to the island and you will not be at all disappointed for doing so. Leave the port and drive towards the inner core of Tinos to meet its hidden ‘miracles’. This is where the zest of the Cyclades will appear in front of your eyes. The true experience of hospitality awaits you together with that unbeatable sentiment that you belong here and that you are not simply another random tourist. Allow the caress of the sun and the color of the Cycladic blue to fill your inside…Let the locals welcome you, for they are bound to do so with all their heart. The village of Pyrgos is the most famous village, as well as, the largest of the island. Its beauty will totally mesmerize you as it actually resembles to an open-air museum of folk art. Continue touring Tinos’s villages further into the mainland. Seek for Vovax village for its phenomenal landscape, Dio Horia village sharing stunning views, Tarambado village boasting countless dovecotes. All these tiny treasures constitute the little miracles that will make you believe you made the right choice of coming to Tinos. Tinos is not widely known and naturally the word “beaches” is not the first thing that spring to mind when thinking of this religious pole of attraction amidst the Aegean archipelago. 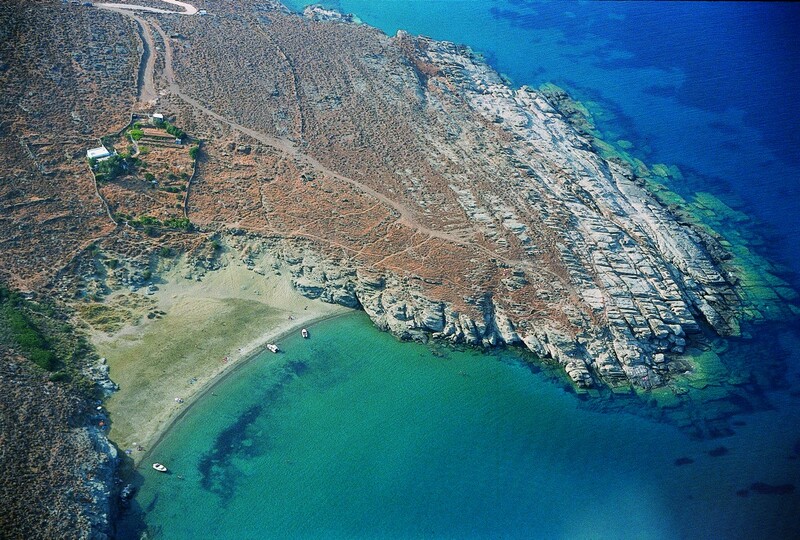 Don’t be surprised to know that it actually boasts as many as 30 beautiful beaches to suit all tastes.Tinos is indeed a Greek summer destination spelling out clearly all the keywords the visitor needs to hear…Sun, sand, sea, multicolored pebbles and lunar landscapes to mention just a few. Whether you are looking for that alternative island to visit on a surfing vacation or you are yearning for a family holiday by the beach,Tinos will satisfy you for your selection. Snorkeling sessions will stun you with a unique sea bottom and quiet beaches will sooth your senses. Dive into a different kind of blue at the beaches of Lichnaftia, Pahia Ammos, Livada, Isternion bay, Kalivia, Ayia Thalassa and Kavalourko. Whatever it is that you are longing to experience, open your eyes wide and simply believe in miracles. Whitewashed architecture, paved alleys and traditional aura, in a Cycladic village called Love (Agapi). On the occasion of Holy Spirit holiday, organize your first summer getaway to Tinos and the luxurious Diles & Rinies villas. 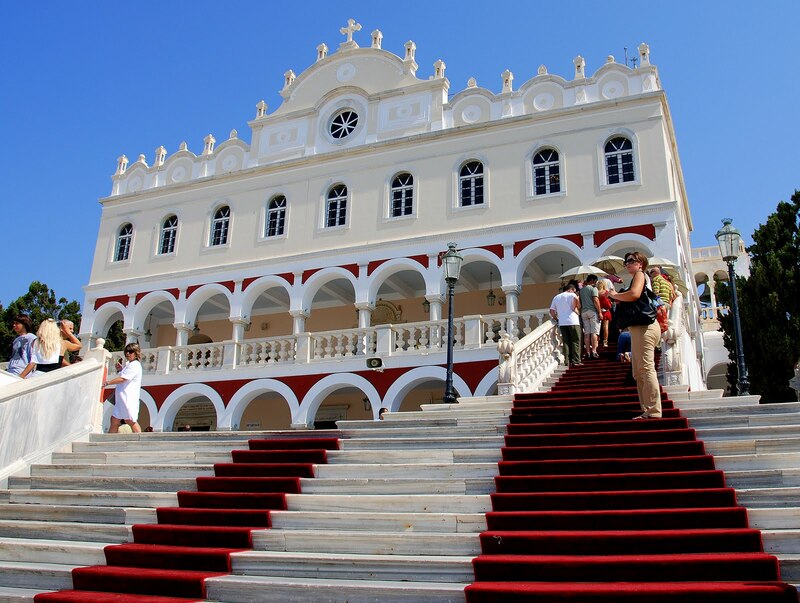 Tinos is the "holiest" island of the Cyclades and invites you for the most solemn Greek Orthodox Easter experience. 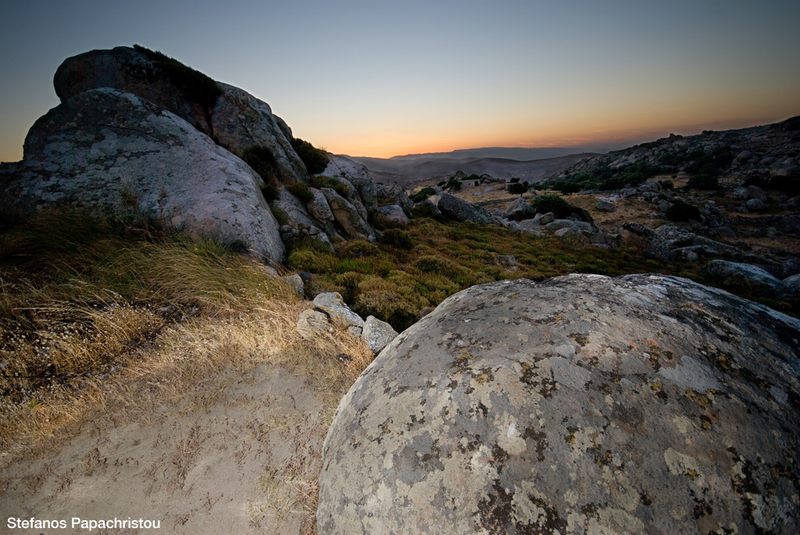 This October, dive in the magic of Tinos and discover the most authentic side of the Cycladic island.